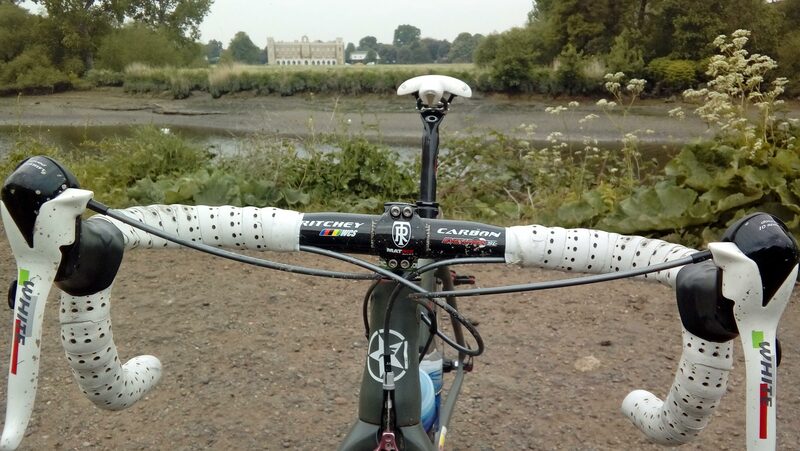 The River Thames is 215 miles long and I have been riding my bike along the Putney to Hampton Court section for 20 odd years. 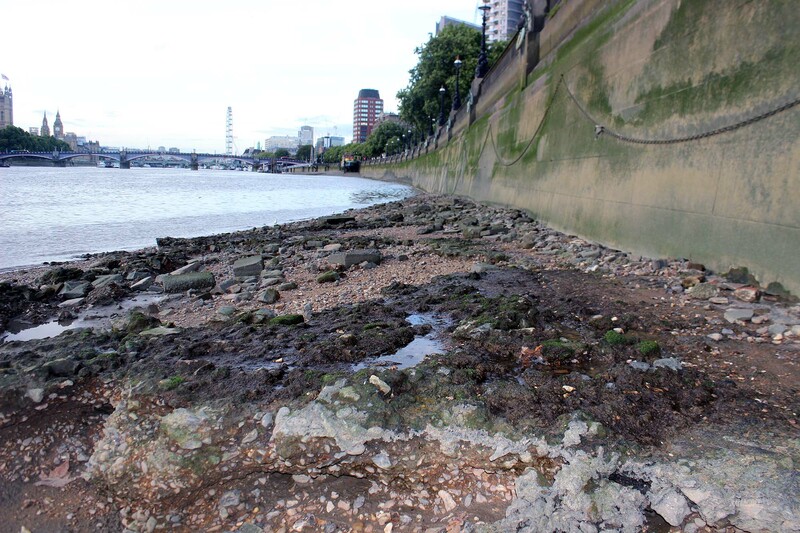 The ‘gravel’ Thames path here lines the south bank of the river and has been my regular haunt to play out my ‘Roubaixesque’ fantasies. It’s not a tough ride but it is wearing and recent attempts to make it more friendly to walkers etc., has seen some of the rougher sections a wee bit sanitised, none the less it will do for me especially when you want a good ride, free from motor traffic and easily accomplished within a London driven time line. 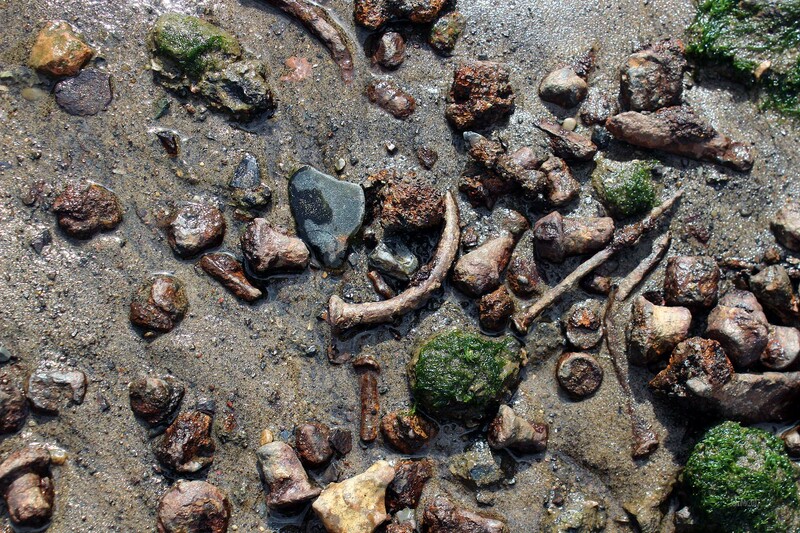 I’m the sort of person who loves to put my surroundings into context – I love the Paris Roubaix cycle race but it’s not enough for me to be knowledgeable about the race and the riders. 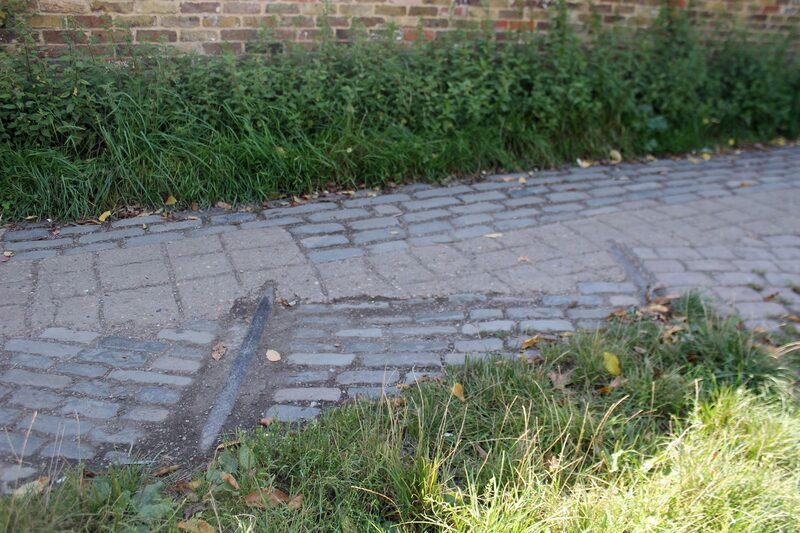 I also want to know about the history of the region; why the cobbled roads exist and are there connections to other places? There is history under our wheels and if we choose we can embrace not only a good ride but also our relationship with our surroundings. This mind-set I have attempted to illustrate in my look at Betteshanger Colliery, the old A2 road and when I went looking for a lost velodrome in east London. Amongst this hubbub of human activity are two interesting points that pricked my enquiring mind as I pedalled along the river path, one was the great uproar of political thought that raged at Putney in the mid-17th century and secondly how the River itself has been shaped to fit into a man-made landscape in the 18th and 19th century. I would imagine that few would link the present London suburb of Turnham Green as an important, almost vital place that saw a turning point in British history, but it does. In the mid-17th century England was thrown into turmoil by a schism that split the country (yes, we have been there before), at stake was who had the legitimacy to rule the country. For the King it was the sovereign who held the divine right to dictate – King Charles asserted that he alone had the right to rule by direct rule by decree; in contrast parliament believed that rule should be by the consent of the people via an elected assembly. This tension resulted in the English Civil War and in October 1642 Prince Rupert of the Rhine led the King’s army into the Thames Valley winning a number of victories including the capture of Oxford in his march on London. 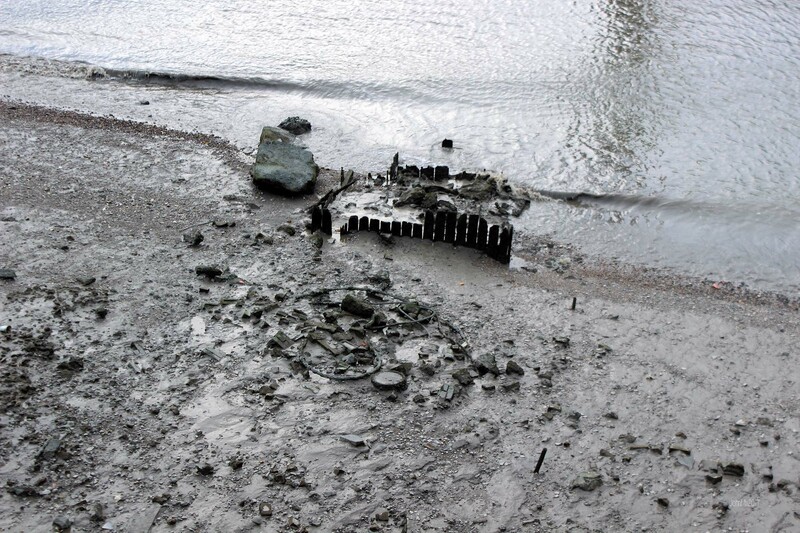 The parliamentary forces quickly blockaded the bridges at Brentford and Kingston and on November 12 Brentford situated between the Royalist army and the Thames fell to the King’s army which subsequently looted the town sending shockwaves back into London. The next day the two sides met in greater numbers at Turnham Green in what was expected to be a defining battle if the King was to take control of London away from the Parliamentarians. Led by the Earl of Essex the larger Parliamentarian army held firm in what became a ‘Mexican Stand-off’ and the Royalist’s hesitated unsure of their own purpose as some wanted to negotiate a peaceful settlement rather than fight for London. Such a fight, they knew would be against a city population that favoured parliament and which feared a repeat of the looting as at Brentford. The King blinked, he elected not to fight to cross the river and decided to retire to Oxford for the winter. Their momentum to take the capital was lost. For the Parliamentarians it was a godsend as many of their troops were hardly trained, most being London citizens with no military experience and their officers had serious doubts about their conduct in battle. 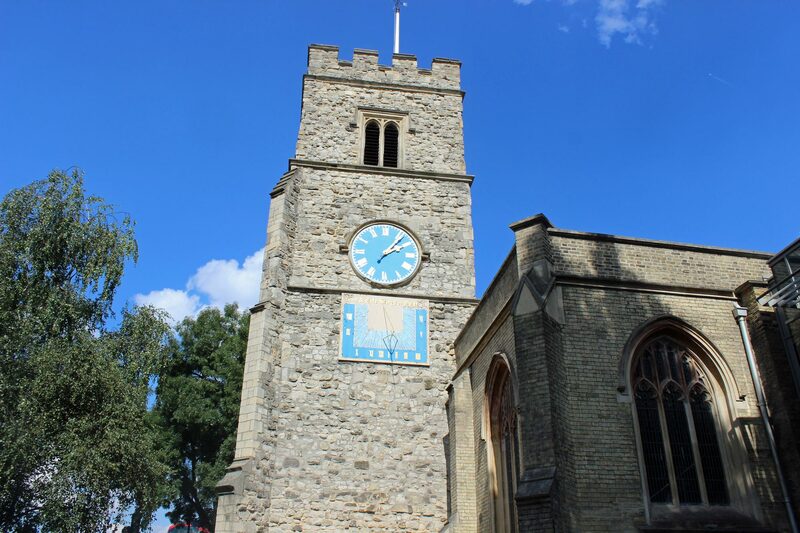 In October 1647 some five years since the ‘battle’ of Turnham Green and two years since the forming of the ‘New Model Army’ (NMA) in 1645, the war had swung in favour of Parliament, and the leaders of the NMA met at St. Mary’s Church, Putney. The church lies on the south end of Putney Bridge and here members of the Parliamentary forces including Oliver Cromwell, who acted as chair of the meetings, met to discuss the continuing conduct of the civil war and the fate of the King, in short: what sort of peace were they fighting for? The creation of the New Model Army into a National and professional entity was based on the principle that it was formed by the ‘Agreement of the People’ and the NMA had become an important political component of the parliamentary cause. However, at times the NMA found itself at odds with Parliament. These tensions became clear at Putney as those present represented a wide range of political thought and ideas encompassed within the NMA’s ranks. The debates covered topics such as the future role of the monarch, religious puritanism and greater social justice such as that proposed by the Levellers who argued for ‘one man one vote’. ‘Native Rights’ were also a matter for debate including ‘equality before law’ and which was argued was a birth right for all. Not all agreed with these ideals especially Members of Parliament and the high command of the army, as some were happy to go back to ‘normal’ but with a King stripped of his absolute powers. After one day the Putney Debates moved to another nearby location and continued until November. The result of these debates was to see a modified agreement adopted that would at a later stage be agreed by mass vote of the NMA. But issues such as the fate of King Charles saw the debates ended and representatives were sent back to their regiments in fear that the divisions expressed and boiling up at the Putney Debates might transfer to the rank and file of the army. The escape of the King from house arrest at Hampton Court also helped Cromwell to limit the role and voice of the radicals. Quickly, the army command made agitation or opposition to the resulting manifesto from the Putney Debates in all but name a mutinous offence, and after a test of strength and the putting down of a mutiny within the NMA further dissent was suppressed. A final version was signed at Windsor in December 1647 and a post war constitution was agreed. This was heady stuff on a par with Runnymede and the adoption of the Magna Carta by the English barons, and although Parliamentarians won the civil war, after-ward discontent was not only to be found in the Royalist ranks but also within the parliamentarians, and lingering resentments were left to fester. During 1649, there were three mutinies in the NMA over pay, fighting in Ireland and political demands with many feeling that the Putney Debates had cheated many men of the reasons why they had fought the Civil War. The Commonwealth of England ultimately failed with the restoration of the monarchy in 1653. 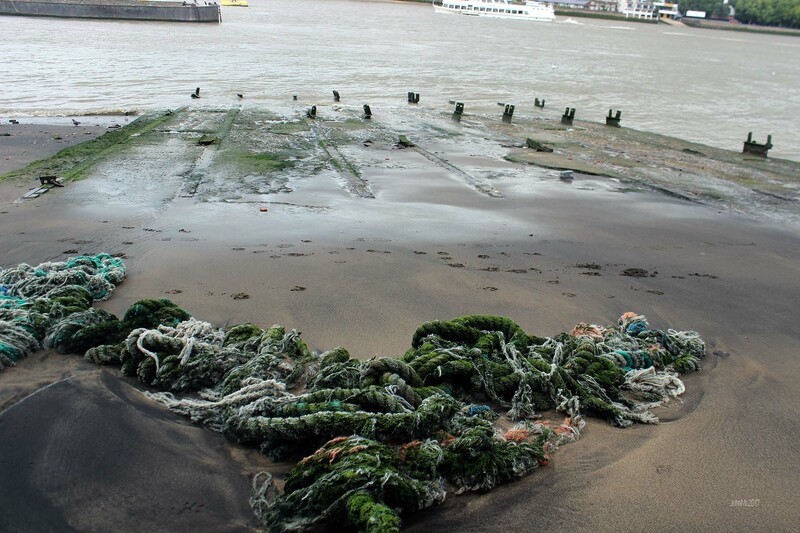 The Thames is far from being a natural environment and has been shaped by man to fit purpose since the Roman Legions established Londinium in AD43 and constructed a port and a bridge upon the river’s tidal wet lands. For Londoners the most obvious evidence of the human touch are the massive stone embankments that enclose the river through central London, behind these bulwarks are Joseph Bazalgette’s Victorian works to channel the city’s sewage and waste water away from it, something I came across when looking for a lost velodrome in east London. 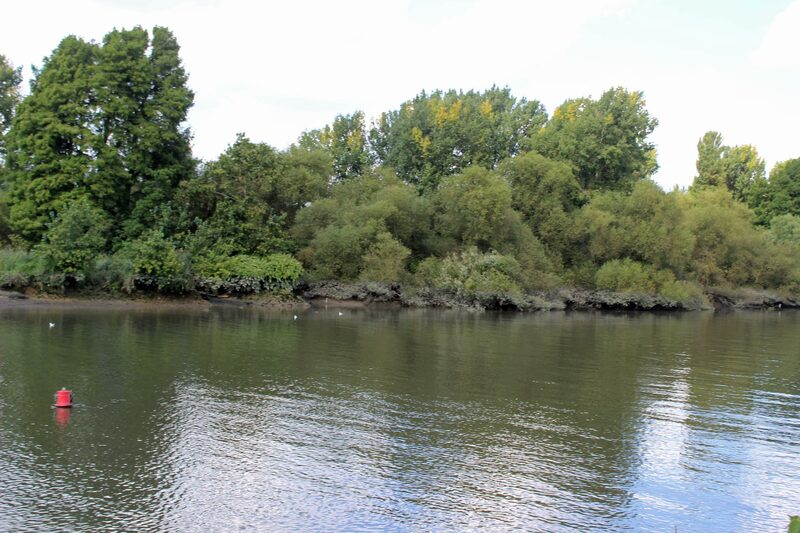 Less obvious and more unknown is the stretch of water at Syon Reach which marks an Arcadian utopian philosophy offering an “idyllic pastoral landscape” or ‘symbolic of man and nature co-existing in harmony’. The Arcadian ‘movement’ may seem soppy and the art certainly was featuring idealised natural scenes framed by Grecian ruins as depicted by Nicolas Poussin in his paintings. But the dabbling in utopianism was probably an understandable repost to the changes occurring during the post English Civil War period and a push back against the idea that we have absolute reign over the landscape as once had a King over a realm. At this time England was in a tizzy about the Royal Succession in the early 18th century (Charles 2, King James, and the ‘Glorious Revolution’, Queen Ann, then the Hanoverians and of course the sticky Catholic question). The ‘gentry’ (moneyed classes) like Royalty before them saw the Thames outside London as a place to get away from the intrigue and squalor of the city, and here on the banks of the river the likes of the writer Alexander Pope found kindred spirits who embraced the Arcadian spirit such as Henrietta Howard, Countess of Suffolk, the mistress of King George 2nd who entertained from her home at Marble Hall, and which became a hot bed of Arcadian thought. She and Lord Burlington who had built Chiswick House (now surrounded by the urban sprawl), created templates for Arcadian house design and placement within the landscape. Many other luminaries made their homes in or made frequent visits to this ‘Arcadian’ area including artist JMW Turner and writer Jonathan Swift. The Arcadians worked with gardeners such as Capability Brown to lessen the grip of formal gardens and landscapes as seen at Hampton Court (or the French style) and they embraced a vision that moved away from the idea that man had to show off his power to subdue the natural environment. At Syon House the river is flanked by both the stately home and also Kew Gardens. On the north side there is the only spot on my ride that retains a ‘natural’ river bank. This was part of Brown’s vision to embrace the Arcadian spirit of harmony between man and the natural environment (the house was also a leader in interior design). 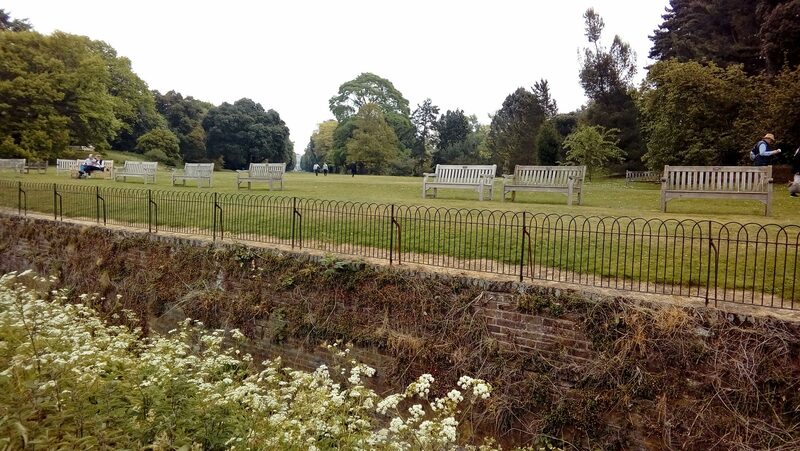 Richmond Council and others are working at this time to re-establish and protect the views and avenues that link many Arcadian landscapes along the river. 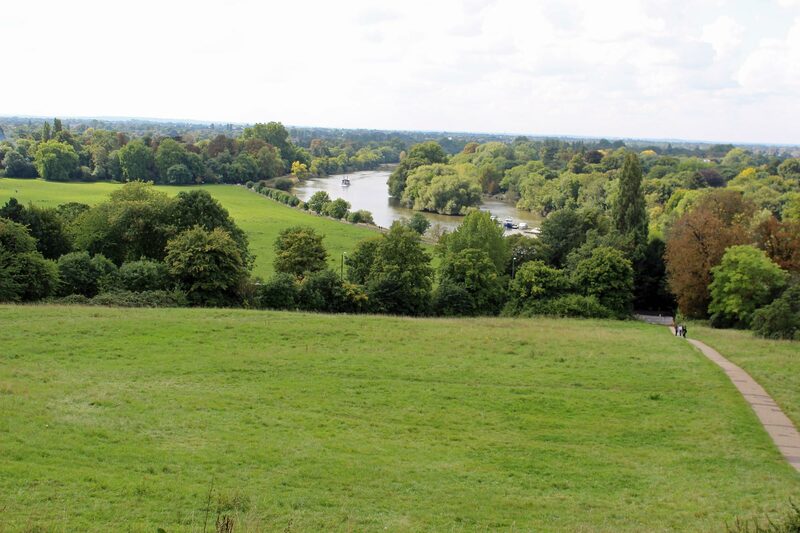 The view from Richmond Hill looking down onto the bend of the river at Petersham has been the only protected view in the UK since 1902. This vista highlights the man-made landscape, which incorporated the majestic Ham House below into an “idyllic pastoral landscape”, ‘symbolic of man and nature co-existing in harmony’ in an Arcadian landscape. 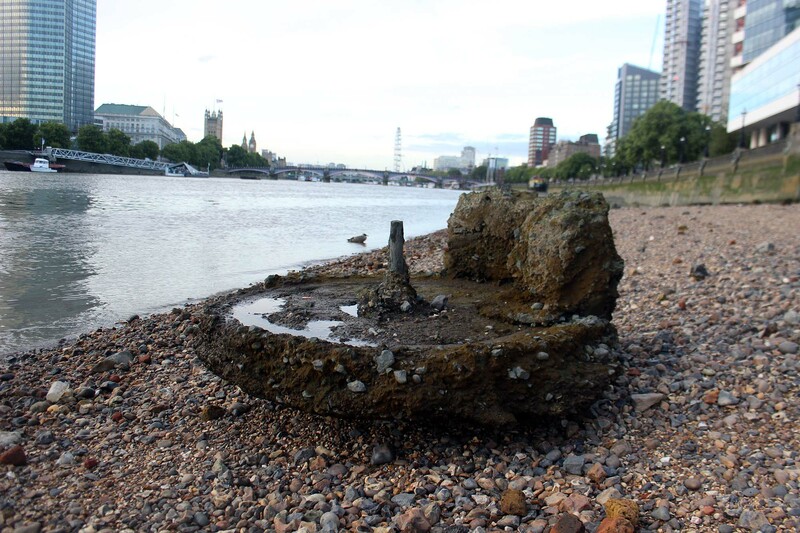 So there you have it the Thames is a mighty river with plenty of history and underneath my wheels are two huge debates that helped shape Britain, the first was the call for suffrage and universal rights, the other a discourse about how humans shape our built environment. I guess there must be a lesson in this – schisms aren’t good and nor is absolutism. It’s use? Maybe once a pivot point for a crane of some sort? 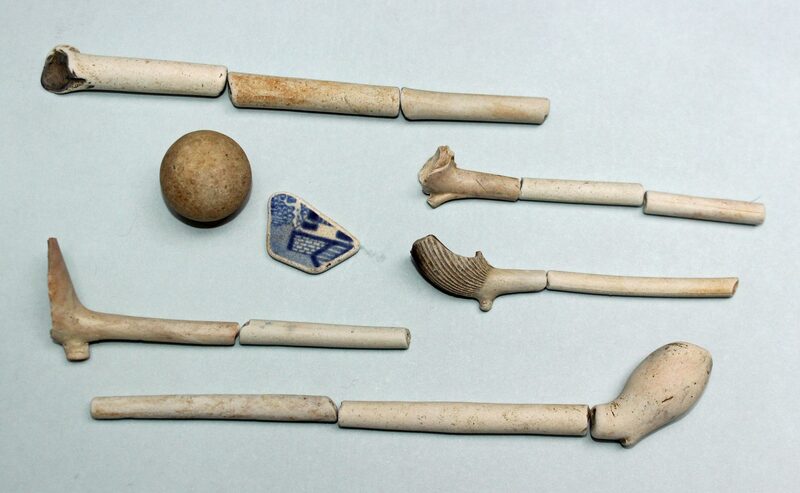 A more personal side of life on the Thames, an old toy marble, a little shard of crockery and clay pipes, the latter being the cheap smoke of the day.